Today the Indian cricket team is going to start its Asia Cup tournament with playing first match against Hong Kong. Before this match Indian skipper Virat Kohli has said something for the team on his social media account Twitter. Virat Kohli wrote, "Here’s wishing Team India a super series at the Asia Cup. #Meninblue #AsiaCup2018 @BCCI"
Let us tell you that skipper Virat Kohli is not a part of this team and Rohit Sharma is the working captain for Asia cup. BCCI (Board of Control for Cricket in India) has given rest to Virat Kohli after the England tour. Kohli will make comeback in before West Indies tour. 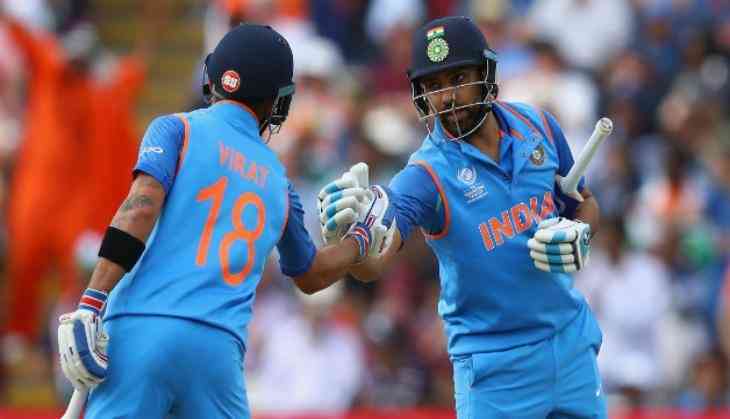 If we talk today's match then Rohit Sharma's team will surely miss Virat Kohli and he will make some changes in the batting order. Now the match is going to start the Hong Kong team has won the toss to bowl first.